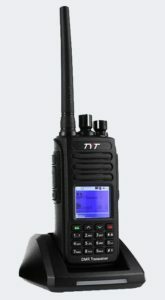 Recent advertising of the Boafeng DM-5 DMR portable prompted a review of available products at the low end of the market. The Boafeng DM-5 was dismissed on a desk study that revealed that advertisements were misleading and deceptive in that the claimed Tier 2 support was not yet delivered and was not included in the advertised price. Previous experience with Boafeng also factored against that solution. 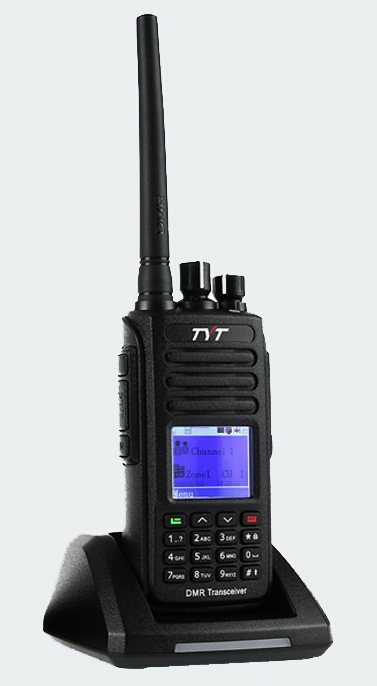 Tytera have produced several DMR portables, and the MD-380 has gained a good reputation. I borrowed one for a trial, and it performed quite well… well enough to proceed with purchase of an MD-390 which appears to have similar internals but revised packaging to obtain IP67 protection. The MD-390 was purchased on eBay for $162 delivered. It came with a US power pack (earning bad feedback), programming cable, two antennas, an earpiece mic set, a disk of all sorts of drivers which aren’t needed, out of date CPS software and Chenglish manual. The latest CPS software was downloaded and installed. It does not require dodgy drivers (eg Prolific), the protocol used is STM’s implementation of DFU which is supported by recent Windows. The CPS application is flaky, often crashing when reading or writing to the radio and it is necessary to disconnect the radio, close the software and start again… Chinese software quality can be very frustrating. When successful (say 50% of the time), programming is quick and straight forward. Ah… no, it is not that good, perhaps 30% success and failure means clicking away a couple of screens as the application crashes, turning the radio off, restarting the software turning the radio on, load the file again and try again. Save the config before programming because it will probably crash and you will lose unsaved work. The codeplug files are understood by ContactManager and it can be used to update contacts etc from the DMR database or CSV file. The MD-390 is supplied with two ‘rubber ducky’ antennas of 120mm and 350mm length, Field strength was measured at a distance of 1m for both antennas, high power and transceiver held to the face to speak. Taking the short antenna as the baseline, the long antenna was 3.2dB better. A test was also performed using a speaker mic and holding the radio about 300mm in front of the face. 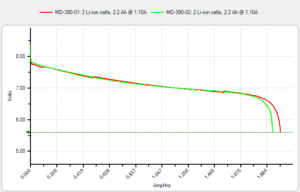 Both antennas yielded similar results at 4.5dB better than the baseline. Of course, hanging the radio on one’s belt and using a speaker mic was much lower field strenth… about 30dB lower when the radio was on the same side as the FS meter, worse on the opposite side. The supplied charger power pack is a US style plug pack with adapter, it is dangerous and would never comply with Australian standards. The supplied earphone / mic set was lightweight and very susceptible to RF ingress (motorboat modulation in DMR mode), and unusable. The programming cable worked semi reliably, but would appear to be related to radio firmware and / or PC client software as the hardware seems reliable (four adapters tested, one purchased separately on eBay had an intermittent internal connection). There is probably no electronics in the programming cable, it appears to use an adaptation of ST’s DFU protocol which connects USB through to two pins on the MCU in the radio. The radio was supplied with a 2200mAh LiIon battery. 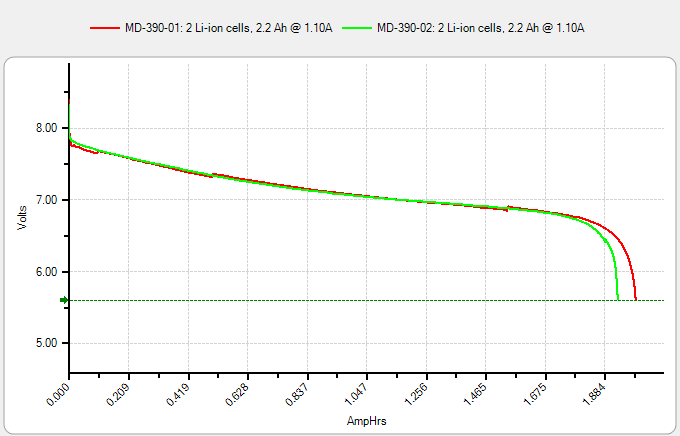 Above is a discharge test of two batteries at C/2, capacity was 1900-2000mAh, 90% of rating which is acceptable for C/2 discharge. The user interface is tedious with large configurations, it is a pity for instance than one cannot get key repetition holding the up or down key instead of up click or down click one at a time. The radio itself seems of robust and practical construction, and for the most part worked well and appears good value even though some accessories were worthless. Supplied accessories were poor, and after market speaker mics are at high risk of being unusable in DMR mode due to RF ingress.